We are having a bumper crop of peppers this year. 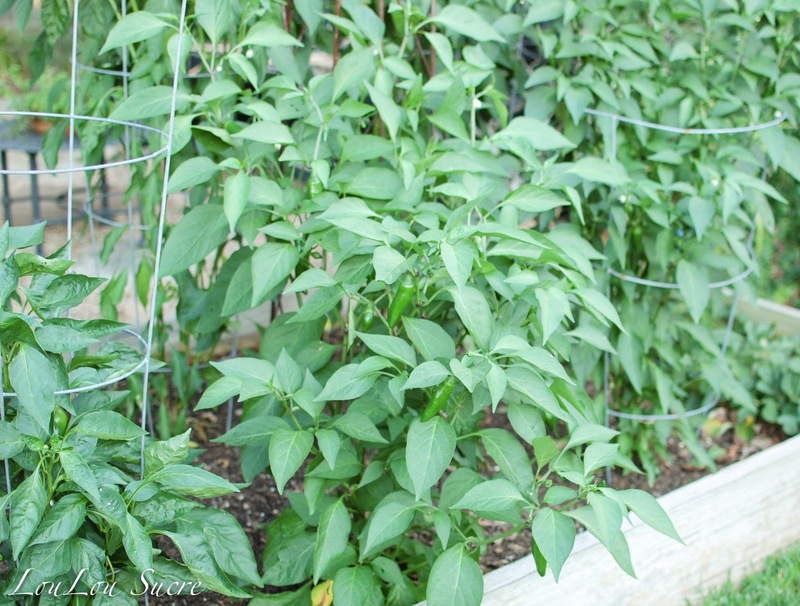 Everyday I’m picking lots of jalapeños, poblanos, and bell peppers. The tomatoes are also actually starting to produce also. 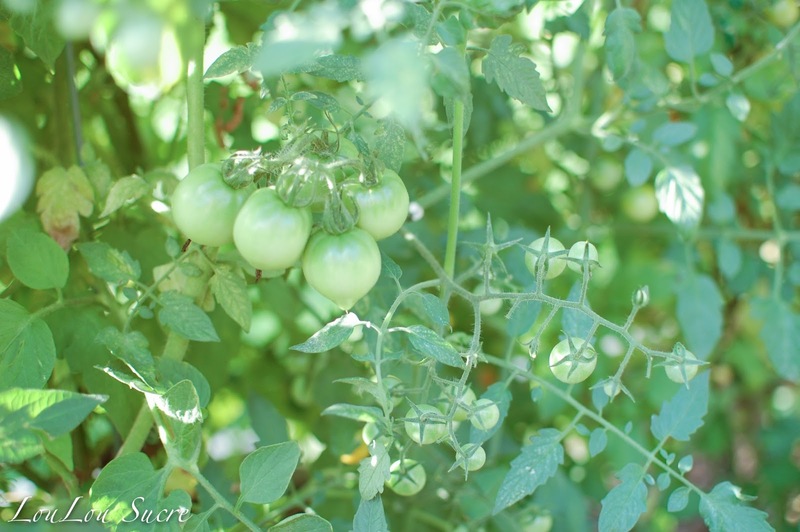 Three tomato plants–I warn everyone about over-planting. 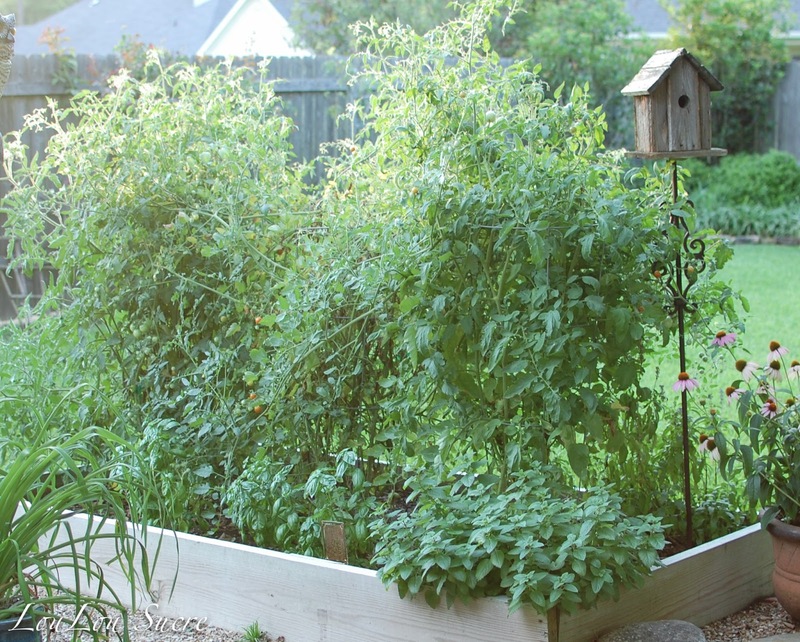 I think the cherry tomato could probably use a bed to itself…it’s ridiculous. I actually picked so many jalapeños this weekend that I made several jars of my candied jalapeños. (Can’t wait for those, I finished off the last jar from last year last month. 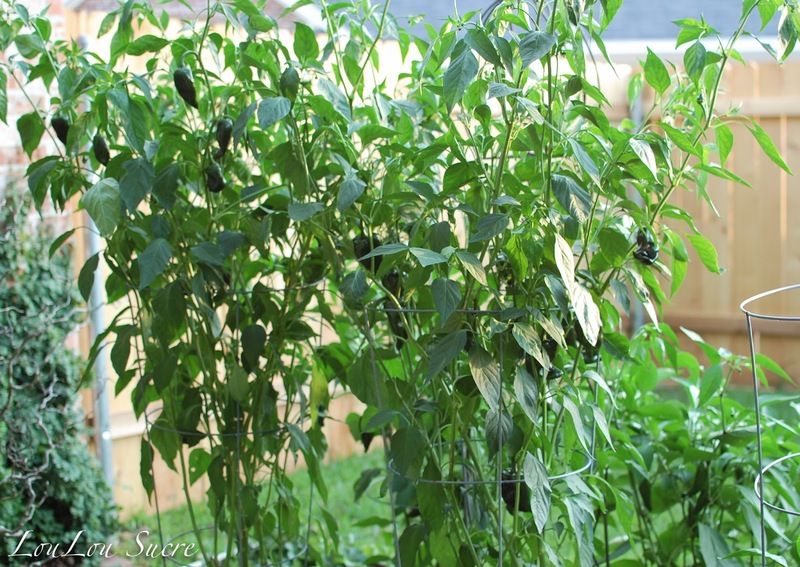 Two poblano plants–almost ready to pick. For late July, everything is looking pretty good. and we’ve actually had a little rainfall. compared to the last few years. We’ve had quite a bit of difficulty with flowering plants and some of our perennials. They just haven’t had the best time of it this summer. Like I said, our peppers have been flourishing. I’m picking peppers like Peter Piper. They are absolutely beautiful and taste as good as they look. I thought that they would be perfect for kabobs. and made a super quick, easy, and delicious meal. 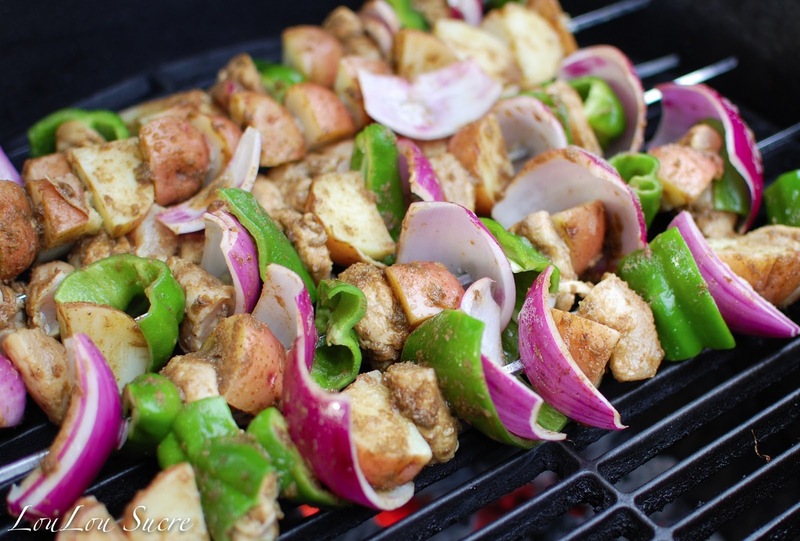 Skewer the chicken, onion, bell peppers, and potatoes. 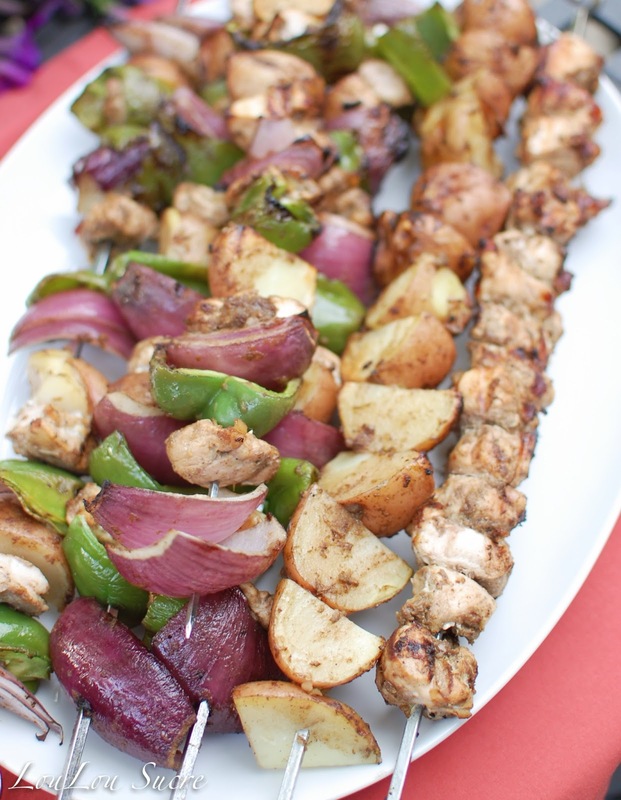 (I also made a kabob with just chicken and one with just potato). Brush the jerk marinade on all of the kabobs. Allow kabobs to marinate for at least 2 hours. Preheat your grill to 350 degrees. Spray a light layer of cooking spray on the grill. 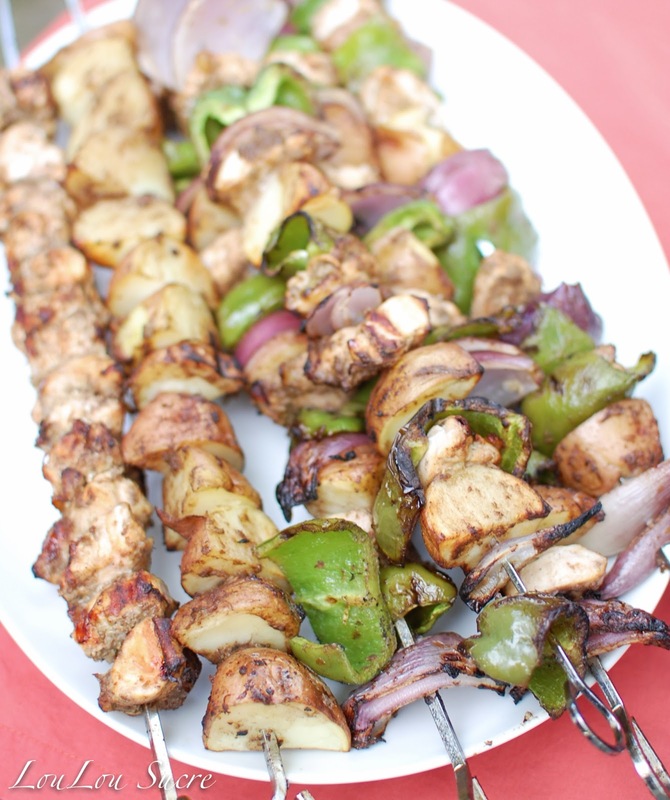 Grill the kabobs until the chicken is cooked thoroughly, when the internal temperature reaches 160 degrees and juices are no longer pink. 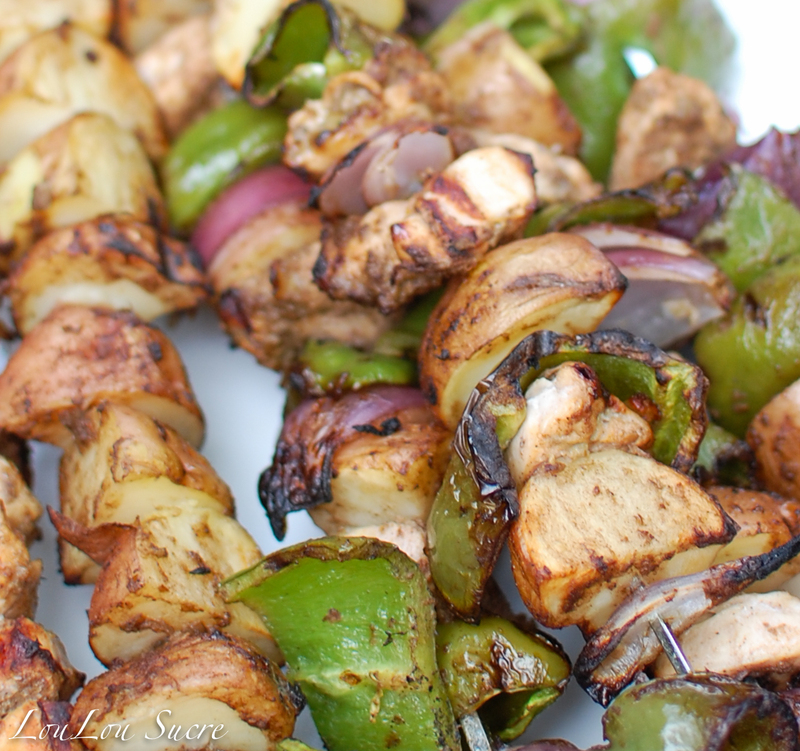 You will need to turn the kabobs a few times to prevent burning and sticking. (The best part of this recipe is that you can make this with any type of vegetables–the sky is the limit. I must have a mental block or somethin', 'cause I can't grow bell peppers to save my life. This is the first year I haven't even tried. I'm bowing my head in shame as I type.